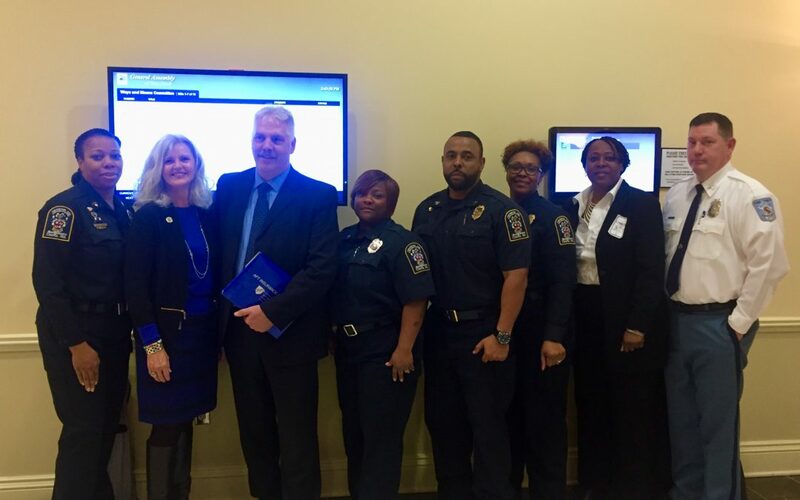 Correctional Officers, along with other Local 1994 representatives, recently visited the state legislature to support an amendment to the “Hometown Heroes” law that allows first responders to deduct a portion of their retirement income at age 55. 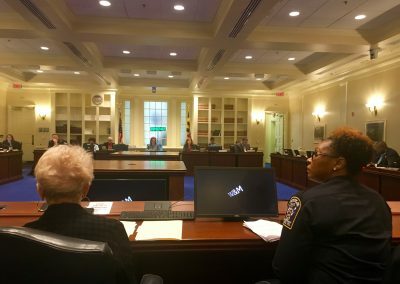 The bill would give corrections officers equity with police and fire fighters in terms of how their pensions are taxed. 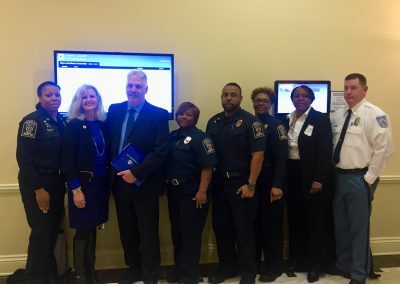 Pension income is tax deductible up to a certain point for everyone over 65, but the bill last year allowed law enforcement and fire fighters to qualify for the deduction earlier. 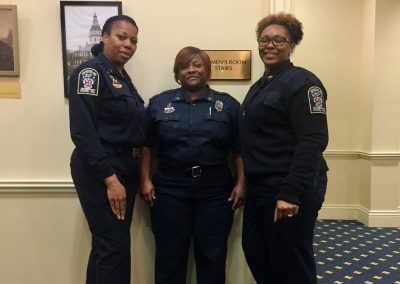 This bill would extend the deduction to Correctional Officers. Delegate Sheila Hixson is sponsoring the amendment to the law. Sgt. DeAnna Johnson delivered testimony in support of this bill to the Ways and Means Committee. Officers Leonette Brown-Dixon, Michael McCullough, and Linda Mahogany also attended the hearing and spoke to legislators to urge support for the legislation. Sgt. DeAnna Johnson delivered testimony in support of this bill to the Ways and Means Committee. 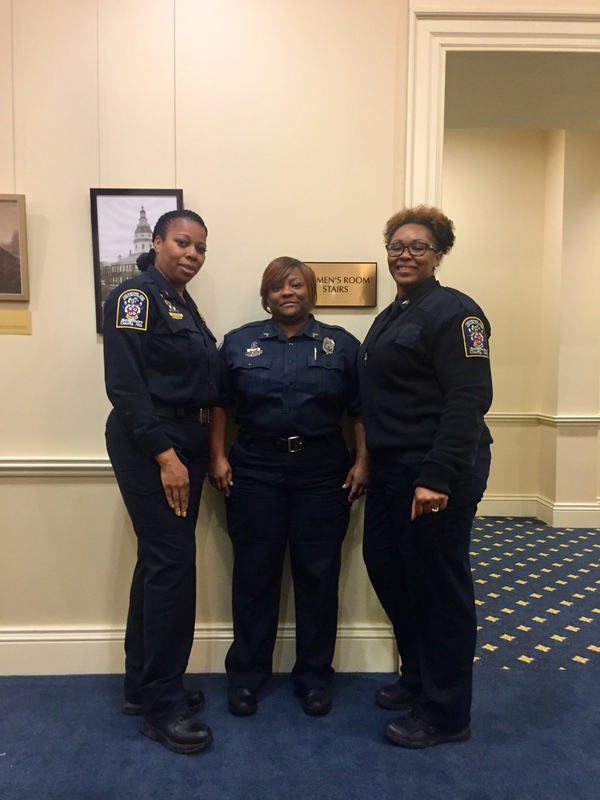 Officers Leonette Brown-Dixon, Michael McCullough, and Linda Mahogany also attended the hearing and spoke to legislators to urge support for the legislation. Local 1994 members with Correctional Officers from other agencies who also came to support the legislation. This will be a great move for all Correctional officers.